Weddings are the easiest way to fall into the trap of becoming a “Gifthole” especially if you’re the plus one. Luckily you’re taking steps of avoiding that because you’re here trying to find some last minute gift ideas so let’s get into it. 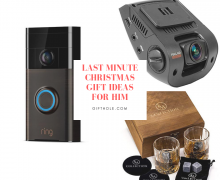 Let me just start by saying the safest way of getting an awesome wedding gift that you know they want or will like is going to their registry and getting something from there. If you’ve waited till the last minute, most of the good things have probably already been bought. 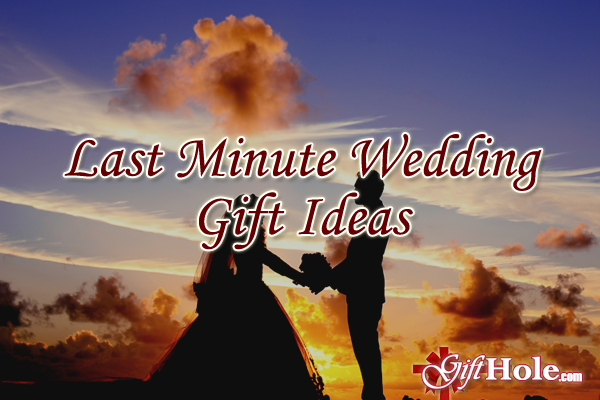 Regardless, here are some last minute ideas for presents for the newlyweds. There’s going to be a ton of amazing photos from their wedding and you know a lot will be framed. Get a jump start by getting them a wall gallery frame so they can hang some of the memories from their special day. Every newlywed couple wants or needs kitchen supplies because they always use it. I mean, a couple who cooks together is typically happier together. Help them be happier together! Or maybe they always have guests over and it’s handy to have more than less. I would recommend getting plates (dinner plates, salad plate), bowls (small serving bowls, low bowls, soup bowls) and fancy wine glasses. Oh, you can’t go wrong with the wine glasses! In addition, if you know they bake a lot then ovenware is always good. Spa treatment, massage, facials, a relaxing day together as newlyweds. They were probably a little stressed out when with all the planning for the big day, finally tying the knot and it’d be a great way to just relax and be pampered together. They can use it anytime after they come back from their honeymoon when they don’t want to deal with reality again, you can help them get away from it for a short period. 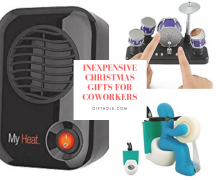 Continuing the theme of having them relax, items for their bedroom would be perfect as well. How about some amazing silk bed sheets? A mattress pad to make them feel that much more comfortable when they’re laying down? Pillows or a comforter? 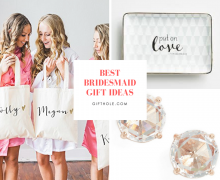 These gifts sound amazing on any given day but for a wedding, it would be perfect! It’s time to celebrate so a fancy bottle of champagne to pop off would be great! Or maybe you know the bride’s favorite wine, get that instead. I feel you can’t go wrong with their favorite type of alcohol. … well, unless they don’t drink. Worst case scenario, money is always good. I don’t think anyone is going to turn down money. At the end of the day, I’m sure the newlywed couple would appreciate anything you get them. I like to get gifts that will last and are thoughtful. The backup usually is items they will both use, ideally together.